KRYMSK, Russia (AP) — Authorities failed to properly warn residents in the Black Sea region of floods that killed at least 171 people and left others scrambling for safety, Russia's emergencies minister acknowledged Monday, adding to public outrage fueled by widespread mistrust of the government. Monday has been declared a national day of mourning in Russia. 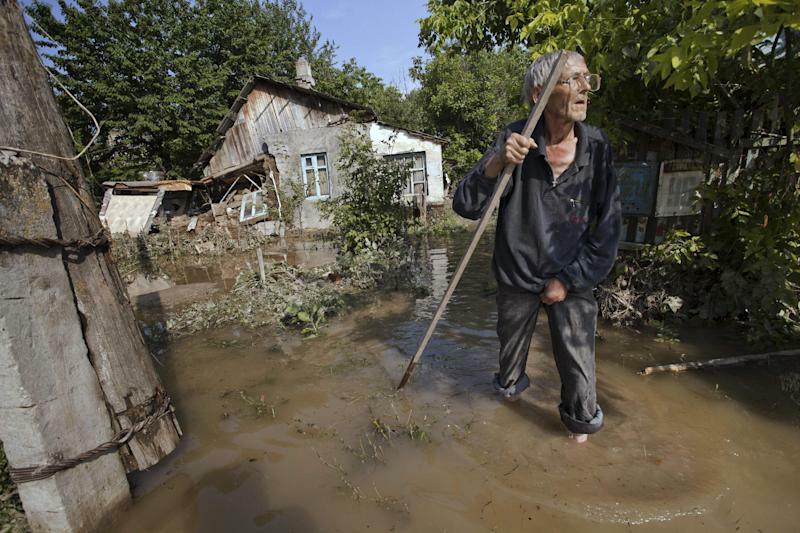 Families of the flood victims were beginning to bury the dead in the hard-hit town of Krymsk, where torrential rain and flooding turned streets into swirling muddy rivers, inundated thousands of homes and forced people to flee from their beds in the middle of the night. Nearly 19,000 people have lost all their belongings. The Emergencies Ministry said it sent warnings out by text message, but some local residents said they never received the alerts. Ministry head Vladimir Puchkov acknowledged under pressure that they were insufficient to reach everyone on time. "A system to warn the residents was set up," Puchkov said at a government meeting where he was grilled by the deputy prime minister about the early Saturday flood. "But, unfortunately, not everyone was warned early enough." The chief investigation body, the Investigative Committee, also said it has evidence the warning was not enough. Russia has seen a series of natural and man-made disasters in recent years, many of them blamed on aging infrastructure or lax safety rules. 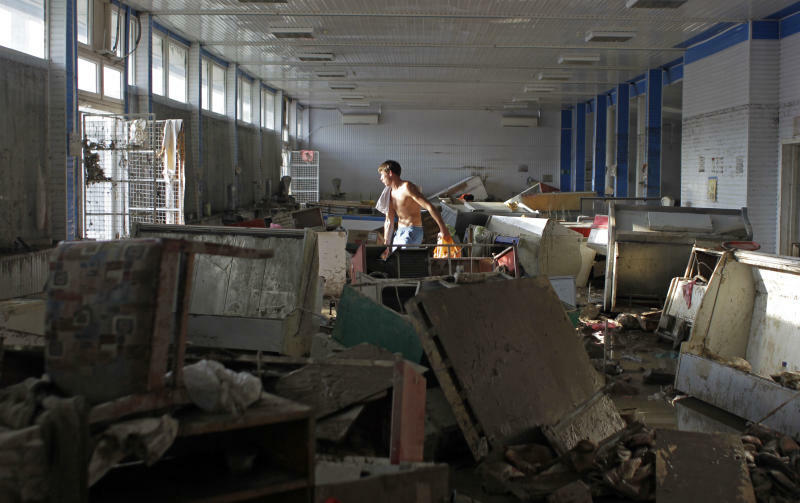 The poor handling of the disaster has highlighted Russians' distrust of their government and President Vladimir Putin has tried to move quickly to stanch the anger. The Komsomoskaya Pravda daily demanded in its headline: "Why so many deaths?!" while the Moskovsky Komsomolets bluntly described the flood as "disaster that could have been forecast and prevented" on its front page. Putin, who was criticized in past years for a delayed or seemingly indifferent response to disasters, flew to the Krasnodar region in southern Russia over the weekend, committed to showing he was taking charge of the situation. Federal prosecutors are investigating whether the population had been properly protected from "natural and technological catastrophes." Putin on Monday demanded that investigators and the Emergencies Situations Ministry give him a full report by the weekend on the causes of the flood and how its aftermath was handled. Torrential rains in the area dropped up to a foot of water in less than 24 hours, which the state meteorological service said was five times the monthly average. The water rushed into Krymsk with such speed and volume that residents said they suspected that water had been intentionally released from a reservoir in the mountains above, a claim government officials deny. Attempting to convince skeptics, authorities flew several area residents over the reservoir in a helicopter and they said they were convinced it could not have been the source of the flooding. It was not immediately clear who the residents were or how they were chosen. At a meeting with Krymsk residents on Sunday, regional Gov. Alexander Tkachev defended his seeming inaction, saying that the first warnings of possible flooding came at 10 p.m. Friday, and the heaviest rainfall was from 1 a.m. to 3 a.m. Saturday. "Do you think my dears ... that we could have warned each of you? With what forces? That's one. And two, would you have gotten up and left your homes," Tkachev said during the confrontation, which was shown on television. Prominent columnist Oleg Kashin, who is now in Krymsk, said in a piece on the leading radio station Kommersant FM that none of the residents he has spoken to believes it was only the weather that caused the disaster. "It's not that the government's version of the events differs from that of the victims, but the thing is that it's normal in Russia to distrust authorities in everything — be it a natural disaster, elections or soccer," Kashin said. 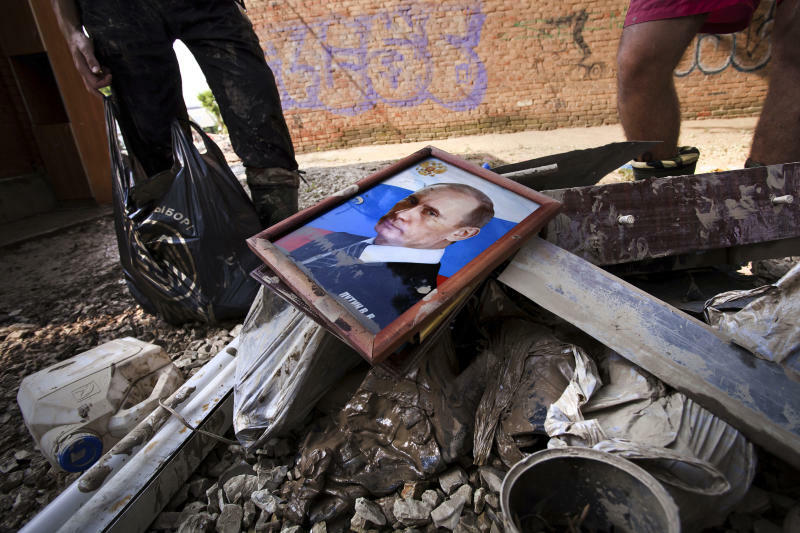 "I'm sure that Krymsk will get repaired, compensations will be paid, and the dead will be buried. But you have to agree that this will not make this crisis of confidence go away."